Walker, James Backhouse , Photograph of Hobart 1878 - view looking South East , University of Tasmania Library Special and Rare Materials Collection, Australia. 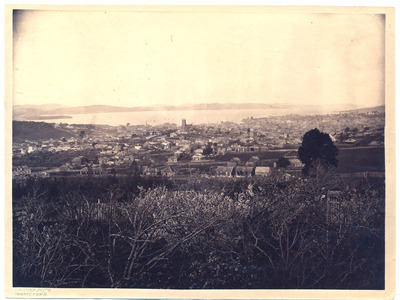 Photograph from the collection of James Backhouse Walker of a view of Hobart looking South East with a garden in the foreground and Elizabeth Street in the middle distance. The photographer is Alfred Winter who had studios in Bathurst, Elizabeth and Liverpool Streets from 1874-1880.